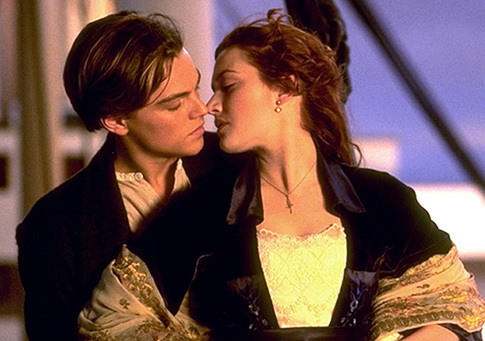 Leonardo DiCaprio and Kate Winslet gave their best chemistry for this tale of romance and disaster, I couldn't comment more because clearly the chemistry was there, well done. Well, I am sure most of you have already watched Titanic back in year 1997, this is just a 3D conversion of it, with remastered graphic to reduce the noise so to those who HAVE NOT watch it, it's about the forbidden love of a rich girl and a lower class man, met on a ship and soon fell in love and try to be with each other against all odds. Unfortunately, luck wasn't on their side. Taking a classic movie, and changing it into a whole new 3D experience. I could only say that I am very much disappointed with the decision to do it. The 3D was lacking that it was almost non existent. A total waste of time if you came to enjoy your favorite movie in 3D. However, this serves as a good chance to re-market this classic for the younger generation, there were so many around me in the cinema, who has never watch it before. Definitely a good idea to re introduce to people who have missed it in the early years. Rating Ver. 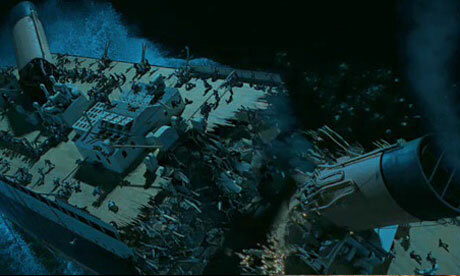 2: 4/5 , it is still titanic after all, the story was great at the time of its conception and will always remain a classic in the movie industry. aww! 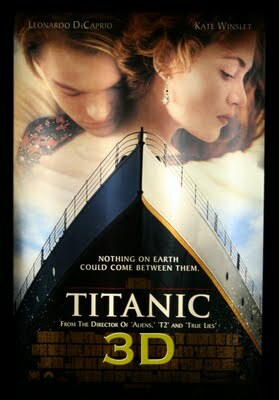 i always like titanic! so romantic!